Iceland which is one of the hottest tourist destinations in recent years. We are going to explore what makes this small yet culturally rich island one of the best tourist location in the world. So without any further due, let’s begin. The island has over 30 active volcanic systems and they are persistently observed for eruptions. However, there are almost 100 inactive volcanoes, A trip to lay eyes on these beautiful sceneries will be indelible from your mind, what a truly special opportunity! Northern Lights, the delightful display of colors can be seen only in the northern hemisphere and you can spot them no matter where you are in Iceland since it’s so much closer to the Arctic circle and less polluted than Sweden, Finland and the rest of the Nordic neighbors. The prime time to catch it is throughout the winter season generally starting in September and lasting until April. Iceland is one of the best countries to watch the northern lights. With a population of only 337,100, Iceland can feel like the most isolated place on earth. It’s unwinding and welcoming yet holds an intense inventiveness. 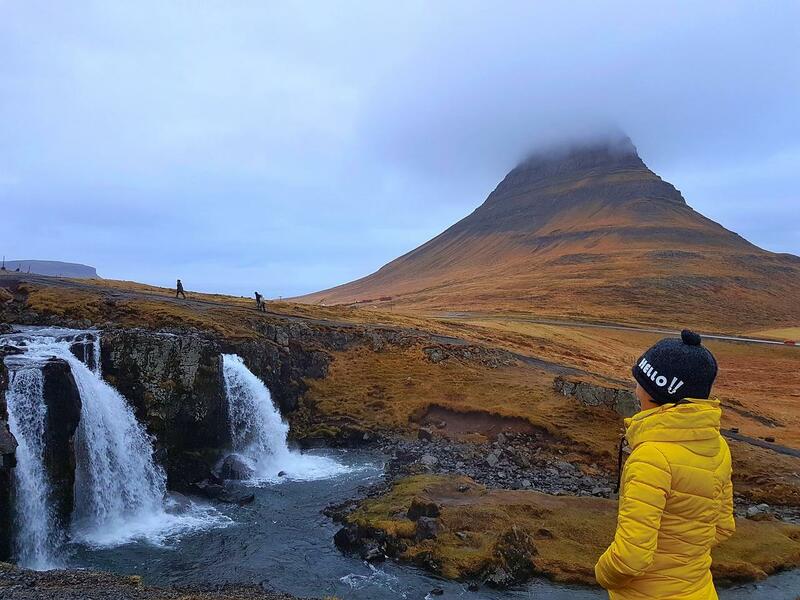 So if you love solitude yet a travelling fan, you should definitely drop Iceland in your bucket list! Iceland is one of the most geothermally active places on our planet. Blue Lagoon is a huge geothermal Lagoon crucially a foggy lake of hot sea water adjacent to the power plant and surrounded by volcanoes and old lava fields, this odd and steamy place of black rock and bright blue water is Iceland’s most favoured attraction. The average temperature in Lagoon is about 100degrees Fahrenheit i.e., 37.7 degrees Celsius, It is roughly your body temperature don’t worry you won’t get burnt. There’s blue-green algae in the water and white silica mud on the bottom which is how the lagoon gets its soft milky aquamarine colour. They say the water and the mud have healing powers especially for people with skin disorder like psoriasis. I’m pretty sure you are already planning the date to visit there while reading this! Iceland’s close proximity to the Arctic circle creates another amazing phenomenon between June and August, People can experience the Midnight sun, hence the dark time lasts around three hours a day. There are so many mountains in Iceland such as Brunnhorrn, Landmannalaugar (famous for different colors), Blatindur(Grassy), Skjaldbreidur(perfectly round), Kirkjufell(Perfectly cone-shaped), Hvitserkur(A tall rock in the sea), Reynisdrangar(Beautiful night sky)So, if you are an adventure lover you should definitely put your money to visit Iceland. Iceland is one of the countries that is known for its beautiful peaks extending all over the country making it one of the most beautiful countries to visit in 2018. One of the most attractive things in Iceland is their food, they make basic food so beautiful and delicious, all credit goes to the Icelandic chefs who are brilliantly talented; they make exceptional seafood and lamb dishes. One of the well-known restaurants that serve amazingly delicious food is Grillmarkaourinn. Make sure to check out! Almost 11% of Iceland is covered with icecaps; Iceland is a heaven of glaciers. Glaciers are huge rivers of ice. The largest glacier in Iceland is Vatnajokull with an area of 8,100kms2 continuing with Svinafellsjokull, Falljokull, Breidamerkurjokull. Notably smaller but no less is the magnificent Myrdalsjokull, the glacier of the ‘mire valley’. It is also listed as one of the beautiful glaciers in the world. Wrapping up one of Iceland’s biggest active volcano, Myrdalsjokull is very likely to earn fame soon. Glacier hikes in Iceland are the best way to experience ice and have great adventure trails. These glaciers have unique wildlife which is popular among travelers in the world. With silent, well-maintained roads and fascinating sceneries, if you want your trip to be cheaper and spend better time glancing at the beauty, you are more likely to find a tour cab driver and enjoy the trip, the roads and traffic a so well maintained and disciplined that the speed limit is a modest 90km/h on the highway, there’s plenty of chances to look at Iceland’s peerless scenery. Humpbacks, minkes, bottlenose and blues layer the North Atlantic and Arctic waters around Iceland, peculiarly between April and October. The best place to see them is from Husavik on the north coast. Local operators boast over 99 per cent success rates for sightings and the surroundings. So that’s pretty much it, Only because you are being a good reader and still reading this, Here is a bonus point about why to visit Iceland. So, Famous movie series “Game of Thrones” was shot there, Now I know most of you are “Game Of Thrones” Fans so without further excuse, Book your flight ticket now and enjoy, Happy travelling! These are the perfect reasons you should visit Iceland now. Do post your comments. Why Giraffes have blue-black tongue? Do You Know how a Happy Bunny Rabbit Binky looks like?